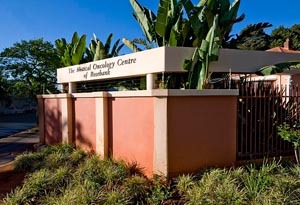 The unique combination of our two facilities, Medical Oncology Centre of Rosebank offers cancer patients 24-hour service providing prompt detection, diagnosis, treatment, support and follow-up care. These facilities were created with an emphasis on total patient comfort and convenience. 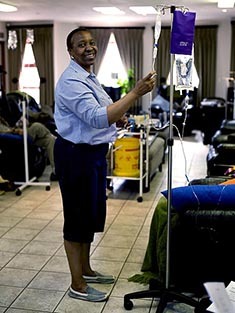 Outpatient, chemotherapy and supportive services are provided at the Medical Oncology Centre of Rosebank. The oncology team takes pride in providing compassionate personalised care for patients with cancer, combined with their expert knowledge of cancer gained from studying the disease through research. 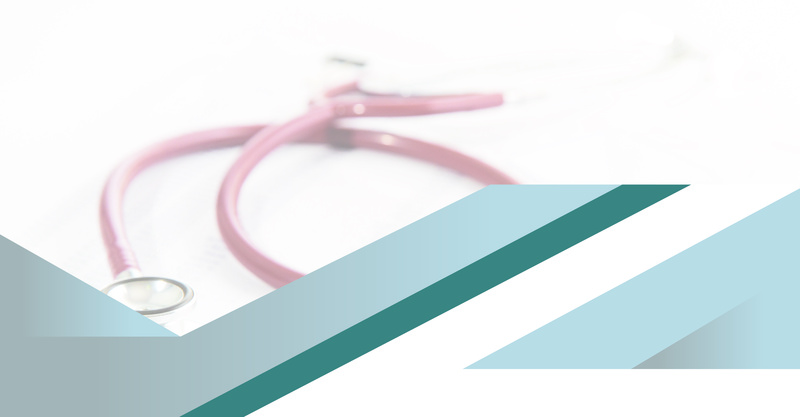 All oncology ancillary services are centrally located in our easily accessible facilities. We offer support and symptom management for patients and their families. Laboratory test results are available almost immediately which reduces patient anxiety and waiting times. 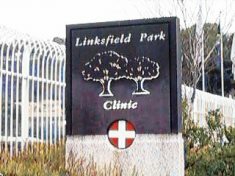 The on-site pharmacy is staffed by a registered pharmacist who specialise in the preparation of chemotherapy agents. The pharmacist provides instruction to our patients and family members concerning oncology medication, side-effects and drug interactions. Oncology Pharmacy Services utilising the latest laminar flow technology, are provided on-site for the patient’s convenience. The on-site oncology pharmacy is staffed with a registered pharmacist who specialises in the preparation of chemotherapy agents. The registered pharmacist provides instruction to our patients and family members concerning ambulatory infusion devices, medication, side effects, and drug interactions. 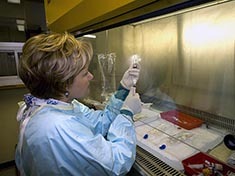 Biochemical and Haematology Laboratory Services are provided on-site. Our on-site service processes test results almost immediately which reduces patient anxiety and treatment waiting time. Our on-site medical and radiological records offer instant access to patient information. Patient records are also easily accessible to provide rapid information to all referring physicians. Radiology services includes PET Scan (positron emission tomography), magnetic resonance imaging (MRI), computerised tomographic scanning (CT), sonography, mammography, stereotactic biopsy and standard radiography. 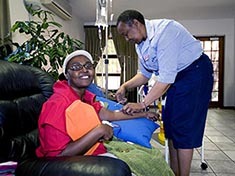 This service is supplied in association with the South African Blood Transfusion Service. When a hospital stay is necessary, patients receive the highest quality care in attractive surroundings designed for the comfort of both patients and visitors. A comprehensive array of state-of-the-art equipment is available. For the comfort of patients and their visitors, each floor offers a complement of private and semiprivate rooms and open day rooms. There are also equipped recreational facilities. In addition, a general intensive care unit (ICU) is also available. 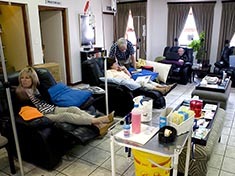 Patients in these units are given specialised intensive medical and nursing care to promote their recovery. 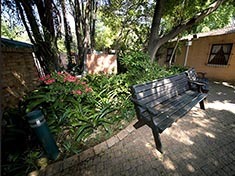 Additional services are available at the Medical Oncology Centre of Rosebank. The team of oncology nurses in our treatment suite are all highly qualified and experienced in cancer care. They provide the best standards of care, with a personal and positive approach. They are committed to supporting and guiding your cancer journey, with expert and caring advice. The nursing staff provide expertise in all aspects of care with concern and compassion for the cancer patient and their family. 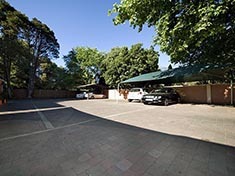 Upon arrival at the Center, there is sufficient complimentary parking for patients and their families.